Ahead of your trip to the North East, here is some info on the Sunday Experiences from our hosts, NewcastleGateshead. 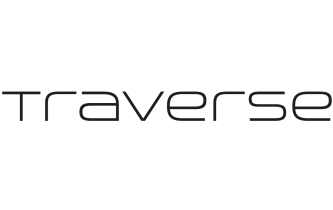 Traverse14 is on the horizon. NewcastleGateshead is set to host an outstanding conference, and working with the destination marketing organisation, NewcastleGateshead Initiative and their partners – Traverse Events have been able to offer delegates to Traverse 14 the opportunity to get under the skin of the destination with a series of experiences set to take place on Sunday 23 February. For history buffs, sign-up to a tour of the National Trust’s Gibside Estate. Once home to the Bowes Family – one of the North East’s most successful industrialist families and ancestors to the Queen Mother – the ruined estate is littered with tales of scandal and intrigue. The Georgian ‘grand design’ features the Palladian chapel, an architectural masterpiece and the once grand hall, now a dramatic shell. Gibside is also a haven for wildlife with red kites often circling in the skies above – Experience a land rover tour, conservation megabush, lunch, beer tasting and a red kite ramble; sign-up here. If you love nothing more than the thought of saddling up on a Sunday afternoon then a bespoke guided bike ride should be just the ticket to unwind after the fun (and obvious serious learning) of the conference weekend. Based in Newcastle, international cycling tour operator, Saddle Skeddadle run the quayside’s Cycle Hub, set off from here on one of three tours – Mountain Biking in a nearby forest trail, see the coast at Tynemouth, or a guided road ride taking in the sights and sound of the city itself! If you’d prefer to stay central – NewcastleGateshead City Highlights Tour is the perfect way to learn about the place. With 2000 years of history there’s a lot to see, from a Norman Castle to the seven magnificent bridges that stitch together Gateshead on the south of the River Tyne to Newcastle on the north bank – each marking a point in the destination’s industrial or, in the case of the Gateshead Millennium Bridge, post-modern past. The star of the tour though, without doubt, is exclusive access to the top of Grey’s Monument in the heart of Georgian Grainger Town. Climb 164 steps to the top of one of the destination’s most iconic monuments and experience views rarely seen by anyone other than Earl Grey himself; sign-up here. Finally – food lovers you’re spoilt for choice. Indian street food dishes followed by a lavish Indian meal courtesy of Angeethi Indian Kitchen and Lounge. If something a little less spicy is more to your taste a Classic Afternoon Tea in the BALTIC’s roof-top restaurant, Six should hit the spot, with unrivalled views across NewcastleGateshead’s Quayside.